I’ve been testing other people’s software since the days of Ultima Online and Everquest. I currently help test iOS PCalc and ConceptsApp. I’ve tested hardware since the Compaq iPaq. I recently tested an integrated iPhone mount with battery pack, but I can’t say much more than that about it. I test software at my day job - both my own code as well as others. I’ve done this through my days at McDonnell Douglas, Boeing, NASA, and my current employer. Throughout my career I’ve been complimented on my ability to explain complex subjects such that people can easily understand it. I pride myself in this! I’ve not used Trello but I love slack and discord as modern alternatives to the IRC clients I’ve used since 1991. I’ve had Trello on my iPad since Viticci talked about it back in 2016. I thought it was subscription based, but in looking at it now, that doesn’t appear to be the case. Looks cool, I’ll give it a whirl! I can be reached most any time by email, Skype, phone, text, discord, slack, Facebook messenger, or iMessage. I genuinely want to improve not only TextBlade performance but stability, capability, learning curve, documentation, you name it!! I also had laptops from the “trackball” era up through the MacBook Air, my first laptop with a functional keyboard. I do not like the butterfly keyboards on my 2017 MacBook or my 2016 Retina MacBook Pro with TouchBar. I loved the keyboards on my older MacBook Airs and Retina MacBook Pros though. I only have my K780 at work, at home I use the K380 or the device itself (I use all these devices at different times either at home or at work each week). For reference, I also use a three device mouse - the Logitech MX Master. I love keyboards, I am writing books right now (three at the same time, using both Ulysses and Scrivener) and I also write code for iOS, OSX, Android, Windows and Linux. My primary development though is in Swift and .NET. I think it is important to note that I have been writing macros since the early nineties in both vi and Emacs and currently use Keyboard Maestro on OSX for macros. I’ve been mapping custom keys for decades in X11, window managers (like fvwm), in shell profiles for sh, bash, zsh, csh, ksh, and my least favorite, tcsh. I hope this gives you an idea of my use case - the ability to jump between all six devices, to do custom key mapping, the portability, the increased desk workspace, the thrill of something so advanced - the TextBlade is truly a dream come true for me! Wow! Thanks Verxion. What an amazing gallery of how keyboards evolved with computers. Wow, I would really like to hear your take on the TextBlade. I must ask, isn't Trello a switchboard system? I think that was used when I started my job, but was retired soon thereafter. I must ask, isn't Trello a switchboard system? I guess they ran out of nonsense words and had to start recycling the old ones. I would too. hint hint. One other thing I should probably add, and I realize this will make my TextBlade experience different from most of you - I learned to type in the fifth grade on a keyboard that was FAR TOO BIG for me to touch type. So I learned to type with just a few fingers. 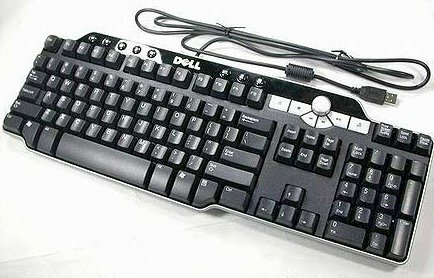 I type with my left index finger, my left thumb, my right index plus middle finger, and right thumb. So a total of three fingers and two thumbs. No joke here at all. People that watch me type are kind of mesmerized because of how weird it is. But do something the same way for enough years and you get fast at it. On the one hand, this should make it MORE difficult for me to adapt to the TextBlade than for other people. But in reality, I’ve got lots of “full size” keyboards with different sizes (mainly just differences in width) and I’ve had no issue typing on touch screens or on my Sharp Wizards or calculators. 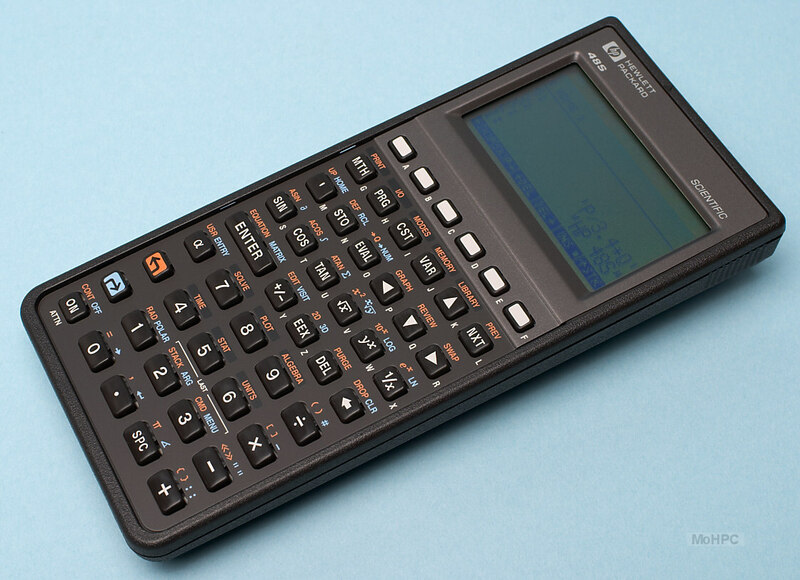 The hardest devices I ever typed on were my calculators because they (stupidly) had the letters arranged alphabetically instead of by any keyboard based order at all. I got 50 wpm on the calculators. 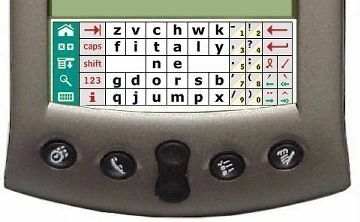 On the FitalyStamp, which is NOTHING like a traditional keyboard, I ended up getting 70 wpm. As many folks have said here on the forums though, these word per minute calculators aren’t super important. MOST of the time we aren’t typing pre-composed material on our keyboards. We are composing in our minds and typing as we go. This can be fast, but rarely (if EVER!) is it as fast as simple transcription would be. I look at something like that typing speed test as a way to measure whether you know the key positions reliably and well enough to type super quickly. That gives maybe an upper bound of what you are capable of. But then this is, I’d say 99.9% of the time, restricted by the speed at which you can compose in your head. When I’m writing, I often can compose in my head very rapidly, but I’d estimate usually no faster than maybe 50 wpm. When I’m coding it is MUCH slower - that is a far more mentally taxing endeavor for me for the most part. As a result, I’d guess if you measured my typing speed over an hour long session of JUST CODING (not talking runnning/debugging time here), I’d be somewhere between 20 - 30 wpm. So while I think it is COOL that I can type rapidly with just three fingers, it doesn’t actually help me very often. Just looking at how much you've been typing the last hours I get the feeling that you both produce content quickly in your head and that you type it pretty fast. I've started to use my TextBlade more and more with proper finger settings and I've come to the stage where my normal typong style I used to have is starting to be a bit confused. I feel like I have a long way to go to make sure that I know all key combos for work yet. But I'm sure that I'm gonna get there. It was horrible never being able to reply, but now I’ve got my account working so I can finally reply! Most of what I’ve been writing lately are things I’d already thought about and composed in my head but I couldn’t write any of them because I couldn’t authenticate my account. That makes typing it out almost like transcribing - super fast. 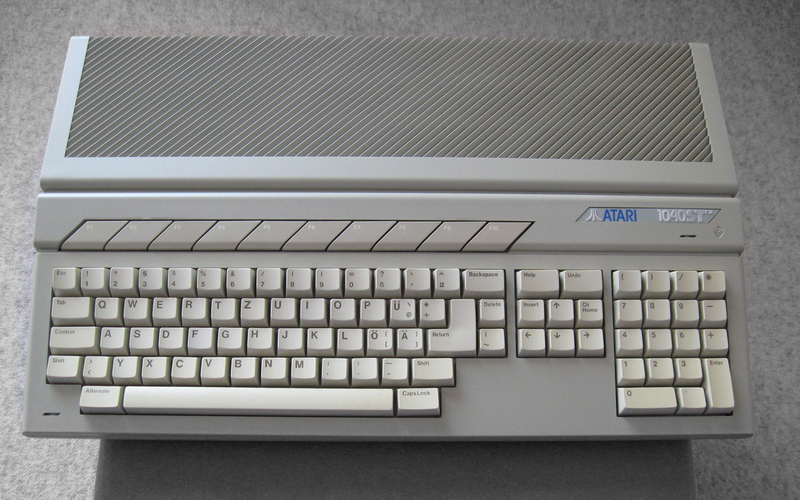 I had a friend with the Atari 400 - I cannot imagine your pain - it felt like you had to press SO HARD to type on that thing! Did it ever get better? I was in college for a CSE (Computer Science and Engineering) degree. 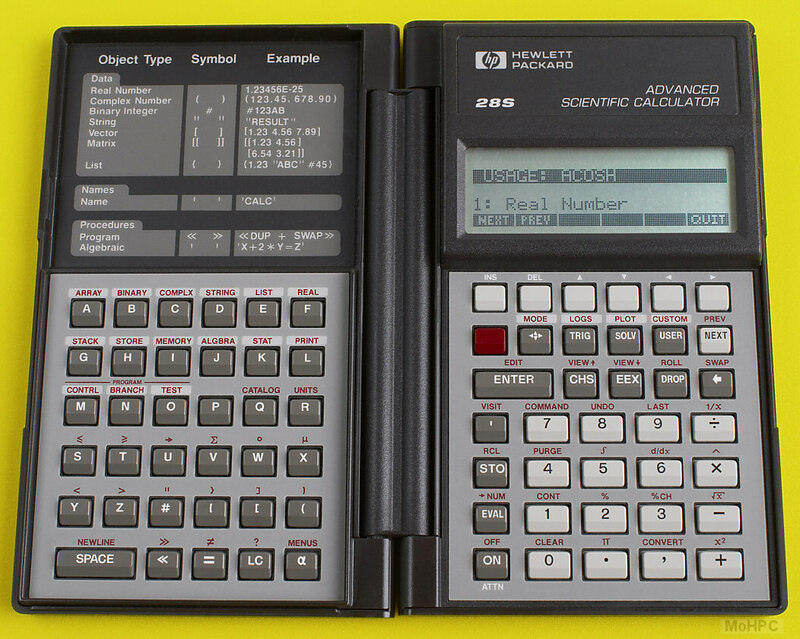 99.9999% of us had HP calculators (41, 28, 48 of various models). 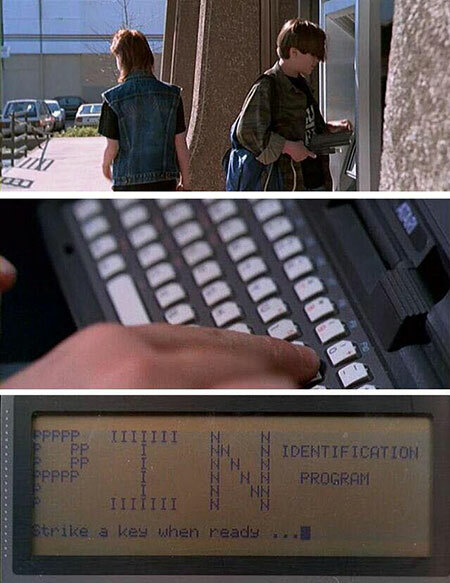 There WAS that 0.00001% of people with TI calculators. It was called the HP Omnibook (the one I had was the HP Omnibook 800CT) - it was a WONDER! It ran Linux pretty decently and I had a working driver for the mouse. The mouse would actually push back physically INSIDE the laptop so you didn’t have to carry anything separate. And unbelievably, the mouse was capable of working perfectly in mid air. In other words, if you set the laptop down on something so narrow that you didn’t have “counter or desk space” for the mouse to rest on, you could still run it. I even was known to hold the laptop with my left hand (in mid air) and use the mouse very successfully with my right hand. 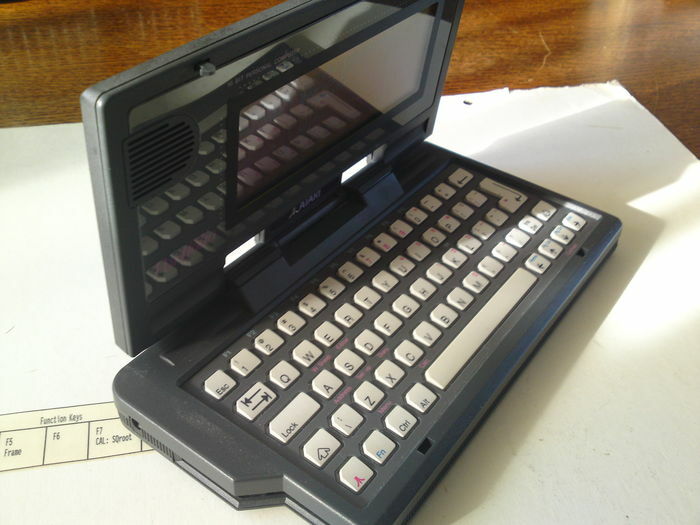 Man, I’d forgotten all about this laptop until you mentioned the Psion 5. 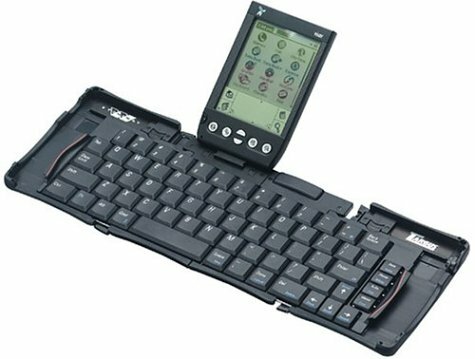 I -completely- missed out on the Psion 5. It was available to buy right when I could have easily afforded it and when I would have LOVED having it. But I didn’t know ANYTHING ABOUT IT AT ALL. It was maybe ten years out of being super worthwhile before I first learned about it. I always felt like I missed out on it and have wanted to buy one off of eBay some time to just try it out. I don’t NEED one, but I feel like by not having owned it I really missed out on a truly iconic computer that I should have owned at some point. That Omnibook though - PURE EFFICIENCY of design, truly. No millimeter was wasted. It was only like 1024x768 resolution I think which was a bit cramped but JUST ENOUGH to be productive if you were efficient with your use of it. ALL THE KEYS were on the keyboard, and it wasn’t bad. I always was willing to forgive keyboards if they were fairly functional if they made accommodations for portability. Specs were very minimal - 16mb of ram, barely over 1gb of disk. But I did SO MUCH with that thing! Wow, thanks for your post, it was cool to remember this old laptop. I never owned this one, but I always wanted to buy the Atari Portfolio. I was in NO POSITION to buy it (I wouldn’t even have a job for another four years!). Also it was in Cloak and Dagger, but it was SUPER brief and I don’t have a screencap of it. Another one I lusted after but never owned was the TRS-80 Model 100. This was just amazing to me - full sized keyboard and an ACTUAL COMPUTER that I could program. I truly believe if I’d been able to own that from when it first came out, I’d have lived wargames in real life, lol! My first hands on experience with a computer was my brother's Apple II+. It was cool, but I simply wasn't going to spend that kind of money to get into computers. Then I read about this really tiny computer for $100 - the Timex-Sinclair 1000, which was essentially the same thing as the Sinclair ZX81 but I think it came with 2k of memory instead of 1k and they made some little changes in the ROM. Which did cause trouble sometimes if you wanted to run the software for the Sinclair version. There was a lot more stuff for that one than there was for the Timex. I new it was not powerful, but it was a cheap way to find out if I wanted to get more seriously into computers. There was some cool stuff about it. Thing only weighed 12 oz! Membrane keyboard was not so good, but you get what you pay for. Had to plug it into a TV and only had 32 columns as I recall. Obviously, 2k isn't good for much of anything so I immediately paid $50 for a massive 16k memory expansion. Later I got 64k. It may have been on the low end of computer hardware, but it was with it that I learned the power of the computer is less important than who's programming the apps. I learned basic on it and later my first work with machine code. Amazingly, someone actually wrote a machine code compiler which let you enter the instructions via hex numbers (and it would then show the actual instruction) or you could enter the instruction name and it would show the hex code. Yeah, it was a slow process, with that keyboard, but it got the job done. Meanwhile, I was looking at gradebook programs for the Apple II and for the TRS-80 computers they had at school. And everything was awful. Not only slow to calculate, but they all were very limited in how many students a class could contain, but how many grades each could receive as well. Plus, you had to load each class separately. Finally, the screen displays (80 columns on these bigger machines) were not thought out well at all. For example, one program only let you see the names of 7 kids at a time and you had to scroll around to see more than a handful of their scores. With just 32 columns on my Timex, I could show 46 kids at a time with their average (or any specific test result). I could show one student with, I think, up to 66 scores on one screen. And I could hold multiple classes at the same time. Another limitation of the Timex was that everything loaded from cassette tape, so really slow. So I learned how to manipulate numbers it stored for where in memory data was and added a save/load feature that only transferred this data, not the entire program every time. All this work, on a very limited machine, helped me later when I moved on to better computers. I think the fact that I had to find creative ways to save memory, speed things up, etc, paid off when moving to the better computers. My Uncle actually ended up with the Timex-Sinclair 1000. He didn’t do hardly anything on it though, and never got into programming. I always felt like it was a waste - I thought it was a very cool looking computer. I’ll tell you that TV/Computer switch really brings back memories, lol! I agree with you completely on the lessons learned from programming a low end device help you SO MUCH when you work on a more capable machine. One of the first “real” (substantial?) programs I wrote was a word processor. At the time, I too only had a tape drive for the computer, and I also figured out how to extract from memory just the content created by the program instead of EVERYTHING. I was utterly and ridiculously stunned with the speedup from converting the slowest aspect of my word processor from BASIC (where moving the cursor around took substantial portions of a second and automatic word wrap could take a full second at times) to where it was INSTANTANEOUS in machine code! Oh yeah, I forgot about that TV/computer switch! A problem with the ram extension (it plugged into the back) was that it was not a real stable connection and would often cause the whole system to crash. The 64k one was particularly bad. I found a large rubber band that wrapped around the entire perimeter of the computer and that solved the problem. I loved machine code. Critical on these low powered machines. The Timex had a fast and slow mode. Slow mode would always have the display active so, if using basic, you could see the really slow process as it calculated new grades and displayed them. In fast mode the screen would turn white until the display was done. But without machine code, it was still a long wait. So what I did was first write it in basic, then find the stuff (printing to the screen and calculations mainly) and figuring out how to do it in machine code. Interestingly, there was a guy who wrote a pretty nifty database that I bought and the documentation ended with a complete listing of all the Basic and machine code with description of what it did. Probably most of what I did, I learned by studying his code. So when I finished mine, I did the same. Ah, the good old days! @Verxion, I forgot. I had an Atari Portfolio too ! I do not even remember where it could be. All the rest I have in more or less working condition still (but the Psion 5 that broke in half, and the Atari 400 as I sold it to get the 800XL). Yes the Atari 400 keyboard was horrible. And I typed a lot on it. All the programs from 2 computer magazines (I forgot the names. I remember a later one that was called "ST Log"). Remember each line had kind of a checksum code that had to match to make sure you did not have a typo ? I did not have that HP laptop. Looks nice. @dabigkahuna, I used the cassette tapes on the Atari 400. I upgraded to floppy (5') with the Atari 800XL and upgraded to the smaller floppy withe the 520st, and later bought for it a 20MB disk drive that was as big as a shoe box, and half the time had issues with it. Wow. I did buy a lot of stuff during the years !!! Another oldie: the the 5' flexible floppies you had "single density" and "double density"with twice the capacity, but the only thing you had to do to convert a single into a double was to punch a hole in a certain place. And the "write protection" feature on them was a band-aid type thing to cover a slot...ah the good old days. But I learnt a lot about computers, programming and typing in those days. I do not know if kids today get an equivalent exposure. It was a ton of fun. I got a few issues of ST Log. By then, the “game code in the magazine” was kind of dead. Main ones I remember are BYTE magazine, and Compute! magazine. I think it was BYTE magazine that would have certain games for basically EVERY computer of the era. I’d regularly see the same game for: Atari 400/800/800XL, Apple ][, Commodore 64, VIC 20, TRS-80, and Timex-Sinclair. Those were cool - I only had the Atari myself, but I’d read through ALL the code to try to learn what was different about each computer. I remember being over at friends houses that had the Apple ][, or the VIC 20 and being able to type in VERY rudimentary programs because of that. And later on my school in Missouri had TRS-80’s. When I moved to Arizona, the school had Commodore Pet computers, which I really ended up liking because of the cool character sets it had to make games with. Shoot! (100% assembly, this one used a SINGLE “player” (these computers had 16 players and missiles for graphics in games) to do something like SIXTY objects all moving on the screen simultaneously. Kind of a tour de force. I know I typed in probably 40 games at least. The machine code ones kind of sucked because there wasn’t anything I could learn from typing them in. I learned to code by typing in the ones that were written in BASIC. Also, I learned what “PEEK” and “POKE” were, and that you could turn off the cursor by running “POKE 752,1”. I still remember that one after all these years too. Apparently it wasn’t called blockade - blockade was another game. I can’t remember the name of the one I’m thinking of - it was just up to four lines being drawn, one by each player, run into a line or outside wall, you died. Last player alive wins. SUPER simple but we played the hell out of it. Yes ! Compute! and Byte were the ones. I typed a LOT of games and learnt BASIC.